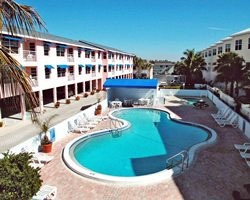 At *Gulf Stream Beach Resort*, guests can vacation where it's always summer and pursue a wealth of outdoor activities. 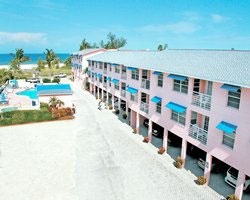 The resort is just steps away from the beautiful Gulf waters and offers an outdoor swimming pool, a whirlpool, picnic and playground area, and bicycles. For golf enthusiasts, there are more than 15 exciting and challenging championship golf courses in Manatee County, and tennis courts are also available in the area. At the end of the day, Gulf Stream Beach Resort is a perfect place to enjoy a spectacular Florida sunset.